Your home or commercial property is an investment, and the best way to keep up your property value is to make it look and feel good. J & D Electric Ltd is committed to enhancing the visibility and appeal of your Moncton home to make it a safer and more enjoyable place. 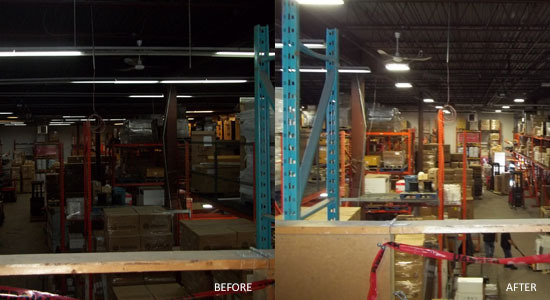 We provide exceptional quality lighting installation services to homeowners, commercial and industrial facilities. Regardless of the size or scope of your lighting installation project, we have the skills, expertise, and materials to make it work. Let us enhance your home’s visibility and security. Whether you need some work done on the inside or the outside, we can work with you to create a design that works best for your budget and property. We can help you to reduce your utility expenses by installing energy efficient lights or solar lamps. We also work hard to save you money with our quality installation and repair services. We only use quality materials to ensure that your lighting projects are completed to meet and exceed the expectations of our Moncton clients. Bring your ideas to J & D Electric Ltd and let us use them to transform your home’s ambiance, beauty, comfort, safety, and value. Our lighting contractors are licensed, bonded and extremely professional. From the very first moment of contact, you’ll experience quality and workmanship that can’t be matched or duplicated anywhere else. The lighting in your Moncton home or business does more than just allow you to see, it is an integral part of the atmosphere you want to have. But wouldn’t it be great if your energy bill was lower? J & D Electric Ltd can make that happen. At J&D Electric we have consistently met or exceeded our energy savings payback calculations on projects we have completed. Our technicians can inspect the current lighting in your home or office and come up with an outline on what changes can be made to make it more efficient. We incorporate not only energy efficient lighting but also the amount of lighting an area needs to be well lit with the minimum amount of lights. We can perform rewiring, allowing you to section off your lighting so you only use it where you need it, when you need it. It doesn’t matter if you need new installation or repair services. 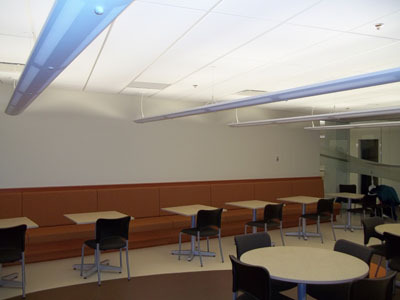 Our contractors are more than capable and qualified to handle your lighting needs. We can create exterior lighting that provide beauty, security, visibility and functionality for you and your guests. Whether you are planning your next lighting project or in need of immediate light repair or installation services for your Moncton property, we can help. Call the lighting experts at J & D Electric Ltd today to make an appointment for a consultation or to learn more about our budget friendly lighting installation services.